The Joint Parliamentary Committee (JPC) today asked the UTI to speedily look into the investments decisions that resulted in the NAV of the US-64 and other schemes touching historic lows for establishing the “mala fide” or “bona fide” intentions of the decision makers. DSQ Software has posted a net loss of Rs 17.93 crore for the quarter ended December 31, 2001 as compared to a net profit of Rs 31.73 crore in the same period last year. Information Technology, Telecommunications and Parliamentary Affairs Minister Pramod Mahajan has been named as the Dataquest “IT Man of the Year” for 2001. NIIT and IBM India today announced an alliance to expand the pool of technical manpower skilled in IBM software technologies. Hindustan Lever Ltd (HLL) and Infosys Technologies are the winners of this year’s Motilal Oswal Wealth Creation awards based on the leading brokerage’s sixth annual study on wealth creation. The government today invited initial bids for the privatisation of profit-making Shipping Corporation of India (SCI), stipulating a condition of Rs 800 crore net worth for the interested parties. Domestic car sales went into overdrive clocking 18.6 per cent growth in December as all major auto makers like Maruti Udyog, Hyundai, Tata Engineering, Fiat and Ford recorded rise in sales. NEW DELHI: Satnam Overseas is diversifying into ready-made food items targeting both domestic and international markets. Talking to newspersons on the deposition by UTI Chairman M. Damodaran and other officials of the fund, JPC Chairman Prakash Mani Tripathi said the JPC members were of the view that the committee set up by the UTI to fix mala fide intentions in such investments was very slow. It has to be established whether those decisions were “prudent” or “imprudent”, the members told the UTI. The JPC conveyed the directive when the UTI sought to impress upon the members that the trust despite the “present general impression” about it was performing better than a large number of private sector mutual funds. The UTI Chairman and its officials today reported the status of implementation of the recommendations of the three committees of Dipak Parikh, Malegam and Tarapore. The total income for the reporting quarter stood lower at Rs 40.23 crore as against Rs 118.98 crore in corresponding period last year, the company said here today. The board has also cancelled the acquisition of US-based Fortuna Technologies Inc as per the directions of SEBI. ITC Bhadrachalam Paperboard has recorded a 16.87 per cent jump in its net profit for the third quarter ended December 31, 2001, to Rs 7.42 crore as compared to Rs 6.35 crore in the corresponding period last financial year. The net sales for the quarter stood at Rs 135.64 crore against Rs 141.87 crore in the same period last year, recording a marginal decline of 4.34 per cent from the same quarter in the previous year. The other income for the quarter stood at Rs 1.29 crore against Rs 2.24 crore in the same period last year. The interest and finance charges have subsequently declined to Rs 8.12 crore from Rs 11 crore in the same period last year, company sources said. Earlier, shareholders of both companies, ITC Ltd and ITC Bhadrachalam Paperboards have given their consent regarding the scheme of amalgamation of the latter with the former. The shareholders approval was taken by both companies following the orders of the high courts. The companies were amalgamated to garner better synergies of management between the companies. Moreover, the amalgamated entity is expected to generate internal resources and additional revenue for the diversified conglomerate. Kirloskar Pneumatic Co Ltd posted a net loss of Rs 9.16 crore for the quarter ended December 31, 2001 as compared to a net loss of Rs 5.53 crore for the same quarter the year earlier. The total income for the quarter is at Rs 163.90 million as compared to Rs 164.20 million for the same period a year ago, the company said. KG Khosla Compressors has posted a net profit of Rs 2.44 crore for the quarter ended December 31, 2001 as against a net loss of Rs 13.40 million in the same period last year. Total income for the quarter ended December 31 was at Rs 33.14 crore as compared to Rs 30.5 crore for the quarter ended December 31, 2000, the company said in a release here today. Exide Industries buyback offer at a maximum price of Rs 70 per share for an aggregate amount not exceeding Rs 25.17 crore commences tomorrow. The last date for the buyback is December 23, 2002 or when the company has completed the process to an extent of 40,00,000 shares under the offer or the date as may be decided by the board of directors, whichever is earlier. The shareholders of Godrej Consumer Products Ltd (GCPL) have approved the buyback proposal to purchase fully paid-up equity shares of Rs 4 each at a maximum price of Rs 100 for an aggregate amount not exceeding Rs 9.30 crore. The approval from the shareholders was received through a postal ballot, the result of which was announced in the extra-ordinary meeting held today, GCPL said in a statement here. The Lifetime Achievement Award for the same period has been conferred posthumously on Dewang Mehta. “The 52-year old (Pramod) Mahajan has not only managed to push path-breaking legislation over the last year to help Indian IT strengthen its roots within the country, but he also helped establish the India Inc brand overseas,’’ the special Dataquest panel that announced the awards, said . “The minister also seamlessly took upon himself Dewang Mehta’s unfinished agenda to see India through its journey to being the next IT superpower,” the panel added. The special Dataquest panel comprised NIIT Chairman and Managing Director Rajendra S. Pawar (also Chairman of the panel), Hughes Software Systems President and Managing Director Arun Kumar, HP India President Arun K. Thiagarajan; Xansa Executive Chairman Saurabh Srivastava, NSE Chief Information Officer Satish Naralkar, Cyber Media Publisher and Managing Director Pradeep Gupta, and Cyber Media Editor-in-Chief Shyam Malhotra. NIIT will provide advanced training in cutting-edge IBM software technologies for the complete range of Data Management, Tranformation and Integration software in India. Professionals trained by NIIT will be skilled to develop applications and support IBM and its customers worldwide on these technologies. NIIT and IBM will undertake joint marketing initiatives to promote leading IBM software technologies. Hero Honda Motors CMD B.L. Munjal will give away the awards on January 11 at the BSE convention hall here. 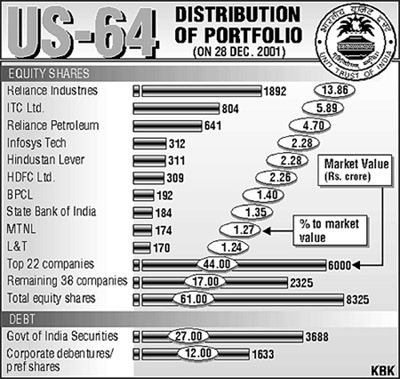 In terms of the size of wealth created, HLL bags the top position with Rs 37,738 crore created during the period 1996-2001. “Companies, joint ventures and consortiums, interested in participating in the proposed disinvestment, are required to submit their Expression of Interest (EoI) by February 18,” official sources said here. Sales of Hindustan Motors, however, dropped while troubled Daewoo Motors did not disclose its sales figures. Total car sales rose for the third successive month at 36,627 units over 30,864 units sold in December 2000, data released by the society of Indian Automobile Manufacturers (SIAM) showed today. Cumulative sales (April-December 2001) increased 2.4 per cent to 3.94 lakh cars from 4.04 lakh cars sold in the year-ago period, the data showed. Maruti posted a 6.6 per cent rise selling 24,313 cars (22,791 cars in December 2000). Sales of commercial vehicles, an indicator of economic growth, dropped by 6.6 per cent at 10,642 vehicles (11,403 vehicles). Multi-utility-vehicle sales increased 2.8 per cent to 9,328 units (9,070 units). In the two-wheeler segment, scooter sales continued with its revival recording a 25 per cent rise at 62,346 units in December (49,873 units). Bajaj Auto continued to lead the revival in domestic scooter sales posting a 67.8 per cent rise at 29,295 units in December over 17,453 units in the year-ago month. The company with a 26 per cent market share in the premium rice, has made forays into “ready-to-cook” and “ready-to-eat” products categories, a company statement said. JAMMU: As many as 60 new designs in fine tweed will be marketed soon by the State Handloom Development Corporation. ZUMIKON (SWITZERLAND): Swiss car design studio Rinspeed has come up with a two-seater city car which extends itself at the touch of a button and turns into a roadster/pick up with space for four persons. NEW YORK: Merrill Lynch and Co. Inc. said on Wednesday it would cut about 9,000 jobs and take a $2.2 billion charge as it struggles to boost profits in the slack U.S. Economy.